222 pages | 4 B/W Illus. Islamic powers in secular countries have presented a challenge for states around the world, including Indonesia, home to the largest Muslim population as well as the third largest democracy in the world. This book explores the history of the relationships between Islam, state, and society in Indonesia with a focus on local politics in Madura. 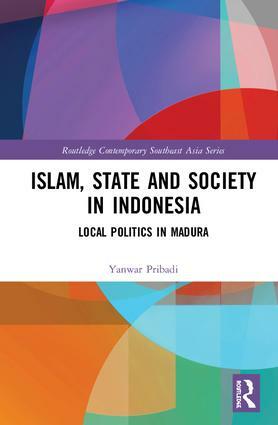 It identifies and explains factors that have shaped and characterized the development of contemporary Islam and politics in Madura and recognizes and elucidates forms and aspects of the relationships between Islam and politics; between state and society; between conflicts and accommodations; between piety, tradition and violence in that area, and the forms and characters of democratization and decentralization processes in local politics. This book shows how the area’s experience in dealing with Islam and politics may illuminate the socio-political trajectory of other developing Muslim countries at present living through comparable democratic transformations. Madura was chosen because it has one of the most complex relationships between Islam and politics during the last years of the New Order and the first years of the post-New Order in Indonesia, and because it is a strong Muslim area with a history of a very strong religious as well as cultural tradition than is commonly understood and is largely ignored in literature on Islam and politics. Based on extensive sets of anthropological fieldwork and historical research, this book makes an important contribution to the analysis of Islam and politics in Indonesia and future socio-political trajectory of other developing Muslim countries experiencing comparable democratic transformations. It will be of interest to academics in the field of Religion and Politics and Southeast Asian Studies, in particular Southeast Asian politics, anthropology and history. Yanwar Pribadi is Assistant Professor of Local History at the State Islamic University (UIN) Sultan Maulana Hasanuddin Banten, Indonesia. His research interests include the study of Muslim politics and cultures, citizenship, political and cultural violence, and rural studies.